Elves on the shelves see a lot of stuff they don’t want to. Never mind whatever naughtiness the kids get up to that has to be reported back to Santa––after the lights go out, everyone’s getting naughty. Mommy’s kissing Santa Claus, and ol’ Kris Kringle isn’t innocent either: Grandma got run over by a reindeer, and the elf on the shelf saw who was driving. This adorably annoying North Pole sprite is supposedly the holiday arbiter of naughty and nice. As the story goes, you’re not allowed to touch the elf or it won’t return to entertain/torture your family day after day after day. Unfortunately, even in this costume, your child won’t return to live with Santa after the holidays. You’ll have to relive the routine on a continuous loop. With this costume, your child can delight young and old alike with hide-and-seek merriment. You never know where the elf will pop up: in your closet. In the fridge. On your new DIY shelf. Crash! 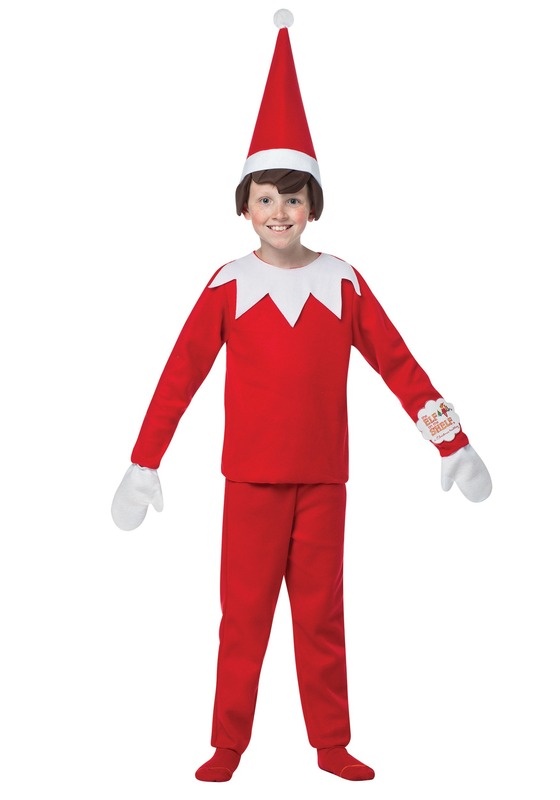 This officially licensed kids’ Elf on the Shelf costume comes with a long-sleeve jacket that fastens in the back with Velcro, elastic-waistband pants, and polyfoam-lined pointed hat with brown foam hair to match the titular elf’s own locks. White mittens complete the look. Start preparing your child now to accept––and celebrate!––a life of ‘round-the-clock surveillance with our kids’ Elf on the Shelf costume.